Once the core product information is saved, you may configure related products to show in the Related Items section in the product details in the management console, and in the Related Products section next to the product details in the storefront. Navigate to the Products > Products using main menu. Hover over the More Options menu to the right of the item and click the View icon to preview its details. Navigate to the Related Items section and click the Quick Edit link in the section header. The Related Items page appears with the Related Products tab open by default. Select the Is Related check boxes next to the products to mark them as related. Use filter to limit the number of listed products and find the necessary items. This will close the dialog and update the related items list with the products you have selected. To delete a related item, click Delete next to it. Once you are done adding the related items, click Save and Close. 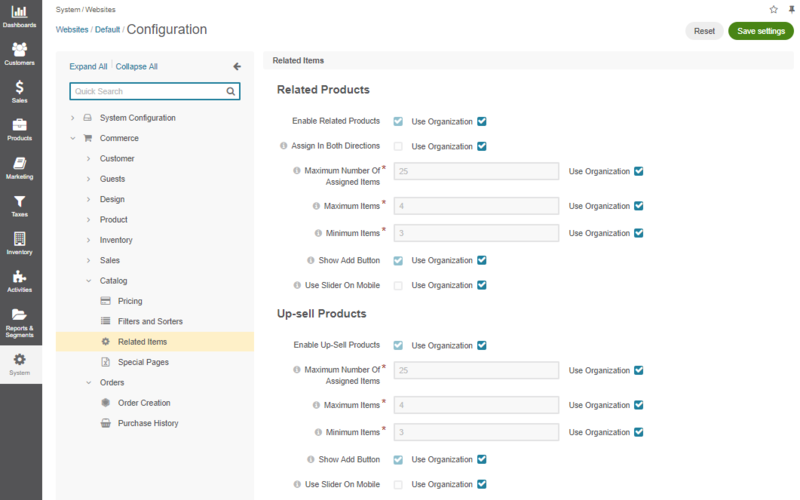 Configure related products globally, per website and organization. In the main menu, navigate to System > Configuration. Select Commerce > Catalog > Related Items in the menu to the left. 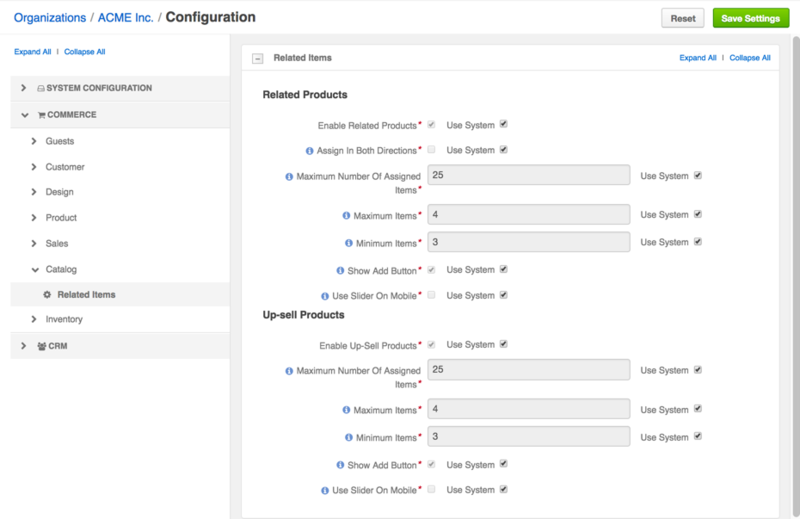 Enable Related Products — Toggles managing related products on/off. Enabled by default. Assign in Both Directions — When enabled, the products become mutually related. For example, when you add a lightning bulb as a related product for a standing lamp, the relation works both ways and the lamp automatically becomes related item of the lightning bulb. This option is disabled by default. 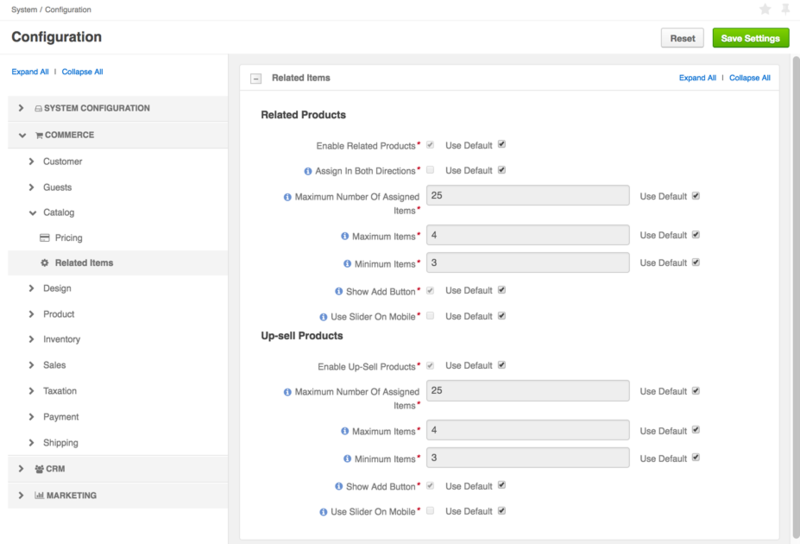 Maximum Number Of Assigned Items — A limit of related products that may be added to any product. Maximum Items — A limit of related products that are shown to a buyer. Some related products may be hidden by the visibility settings. If the list of related products still exceeds the limit, only the specified number of items (top of the list) will be shown. Minimum Items — The minimum number of related products that may be shown to the buyer. 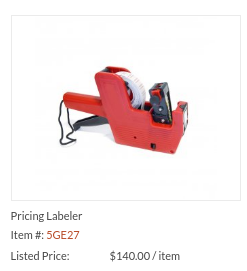 If the actual number of products is less than this value, the related products section is hidden in the storefront for the product. Show Add Button — Enables a buyer to order a related product from the related products section in the main product details. 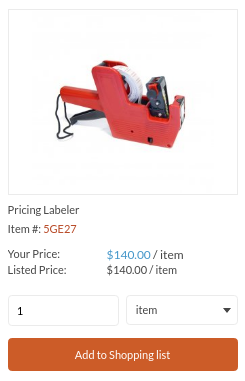 When the option is disabled, a buyer needs to open the related product details before they can add it to the shopping list. Use Slider On Mobile — When enabled, one related product is displayed below the main product information. Other related products are accessible using the horizontal slider. Click < and > to slide through the related products. Clear the Use Default check box next to the option. Set or clear the option, or enter the quantity. For the necessary organization, hover over the More Options menu to the right of the necessary organization and click the Configuration icon to start editing the configuration. In the main menu, navigate to System > Websites. For the necessary website, hover over the More Options menu to the right of the necessary website and click the Configuration icon to start editing the configuration. Set or clear the option, or type in the quantity.